Medical malpractice occurs when doctors, hospitals or nurses act outside of the reasonable standard of care and cause an injury to a patient. Childbirth is an inherently dangerous process, but there are still countless injuries that occur as a result of medical negligence. Below are the three main categories of childbirth-related medical malpractice claims. When negligence occurs during childbirth, sometimes the mother or newborn can suffer serious injuries. For example, failing to vigilantly monitor the newborn’s oxygen intake before, during and after the delivery can have lifelong consequences for the youngster. Brain development may be irreversibly damaged. When the baby has been injured, the parents must bring a lawsuit against the negligent party in court on behalf of the injured infant. Damages in these situations may include specific damages like medical bills and general damages in the form of pain and suffering. If the injury occurs to the mother, then she will have to bring a claim against the negligent party. 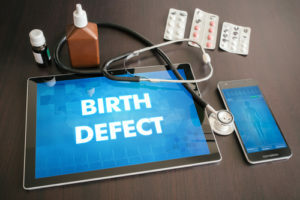 Modern-day technology makes it possible for parents to learn about potential birth defects or serious complications before the child has even fully developed in the womb. In many situations, parents are increasingly choosing to terminate a pregnancy when the child’s quality of life will be sharply reduced because of a genetic condition, serious defect or other problem. Parents may seek a wrongful birth claim when their doctor or hospital fails to conduct genetic testing before the child was conceived or failed to detect certain abnormalities during the fetus’ development. Damages associated with these claims may include the pain and suffering of raising the developmentally impaired child. According to most doctors, birth control is supposed to be around 99.9 percent effective in preventing unwanted pregnancy. Despite this, sometimes a fetus survives even when the parents are trying to avoid the pregnancy. Parents may have attempted to avoid the pregnancy through birth control methods, abortion or sterilization, but the doctor’s negligence may have resulted in a pregnancy anyway. In these situations, the child is usually born healthy, but the parents can still sometimes recover damages for certain costs. Some states only allow parents to collect compensation for lost wages and medical bills, while others may allow the parents to seek damages from pain and suffering. Were you or a loved one injured due to medical malpractice in New Jersey? Then you need to talk to an experienced medical malpractice lawyer as soon as possible for guidance on how to proceed. The Middletown medical malpractice attorneys at Rudnick, Addonizio, Pappa & Casazza are prepared to assist you with your legal claim. We represent victims of negligent surgeons, doctors, nurses, and pharmacists throughout New Jersey, including Hazlet, East Brunswick, Howell, and Freehold. Call us today at 732-264-4400 or email us to schedule a consultation. Our main office is located at Park Village, 25 Village Court, Highway #35 Hazlet NJ 07730, and we also have offices in East Brunswick.